Did you know that 20 million Americans have acne that is severe enough to cause scarring? Few things are more frustrating than having problematic skin. But if you have acne scars, you’re not alone, and there is hope. We’ve put together a list of treatments that can help get rid of those pesky scars. Keep reading to learn more. Retinol is a derivative of vitamin A that is commonly used in skin care routines. It is used to brighten skin tone, reduce acne and acne scars, and boost collagen production. Retinol can be found in many different types of creams, lotions, or serums. Because retinol can cause some side effects (like redness and dry skin), you may want to start with a gentle product. It is recommended to start with a pea-sized amount twice a week. If you experience manageable side effects, stick with it. Noticeable results may take several weeks. If you’re more into home remedies, apple cider vinegar is worth a shot. You might even have some in your kitchen already! There are several types of acid in apple cider vinegar that may help reduce inflammation and improve skin texture. To use this method, mix one part apple cider vinegar with three parts water. Using a cotton ball, apply the mixture to your face. Let it sit for five to ten minutes before rinsing with water. You can also try mixing apple cider vinegar with other ingredients, like honey or aloe vera. But always cleanse your face before applying. Dermaplaning is a process that removes the outermost layer of dead skin cells and vellus hair. Removing this dead layer is essentially removing a barrier. Moisturizers and other beneficial products are more easily absorbed by the skin. Plus, your face is left looking smoother and more vibrant. Dr. Harpe of Harpe Laser and Wellness is an expert in utilizing this treatment safely and effectively. Click here to learn more. Chemical peels are a form of chemical exfoliation. Chemical exfoliation removes dead skin and impurities on contact by “injuring” surface skin cells. After this happens, the surface layer will actually peel off. Then, new skin cells will take its place. You can visit a skincare expert for high-strength chemical peels. Medium to low-strength chemical peels can be used at home. When using at-home treatments, it is important to follow directions carefully. Niacinamide is a vitamin that can be applied to your skin via toners, serums, and moisturizers. Niacinamide will not only even out your skin tone and reduce the appearance of scars, but also fight skin dehydration. This method is a good option for most skin types as it rarely produces negative side effects. Try using niacinamide as part of your daily skin care routine for best results. 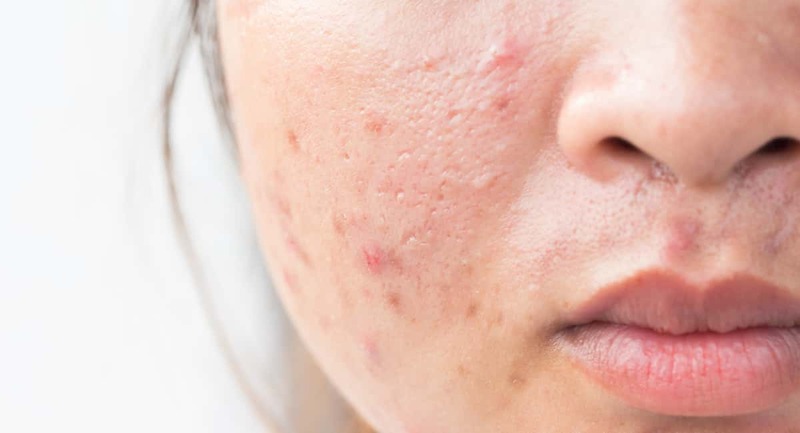 Unfortunately, acne affects a lot of people. Fortunately, acne scars don’t have to affect you. Try out these tactics to reduce your scars and get your beautiful complexion back. For more skin care tips and tricks, check out our skin care blog posts!